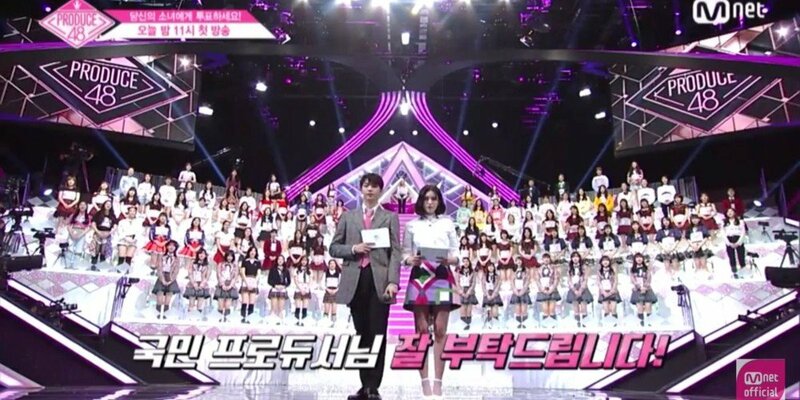 [SPOILER] Which trainees are the top 12 on the first week of 'Produce 48'? 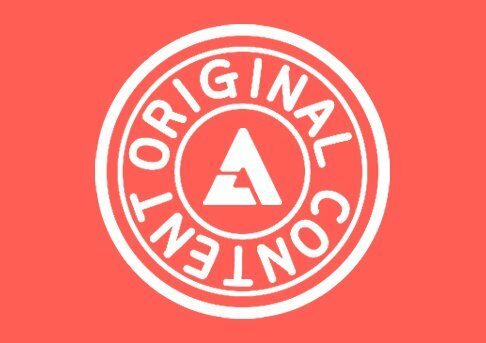 'Produce 48' has officially started. The first episode of the new Mnet audition program finally aired on June 15. A total of 96 trainees - 57 from Korean agencies and 39 Japanese - entered the studio for the very first time. Season 1 and season 2 centers, Jeon So Mi and Kang Daniel, appeared as the 'Nation's Producers' and announced the basic rules. 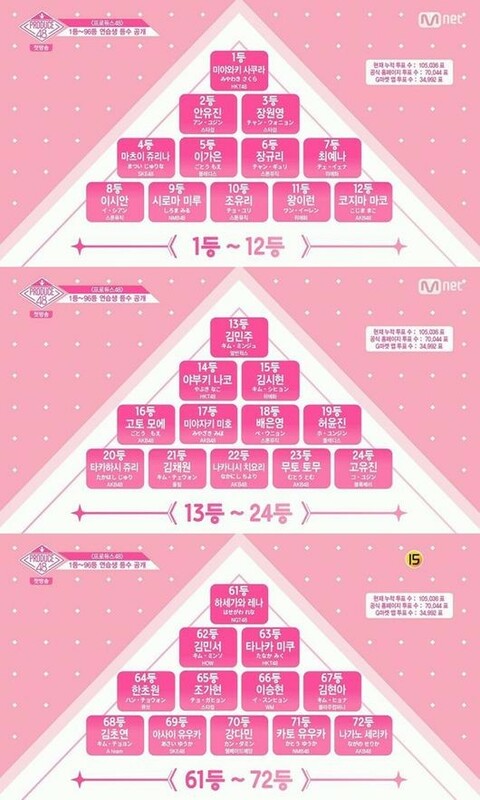 This season, 12 trainees will be selected for the final group which will be promoting for 2 years and 6 months. The trainees engaged in their first evaluation with the Korean vocal and dance trainers including Kahi, Bae Yoon Jung, F.T. Island's Hongki, Soyu, Cheetah, Choi Yong Jun, and May J Lee.